The Research Academy supports the international research community by offering an annual MRS Diploma scholarship. This scholarship allows one lucky student to study for our MRS Diploma course at a vastly reduced tuition fee. This year, we’re delighted to announce that the winner of our MRS Diploma scholarship is Charles Ochieng Obwanda. 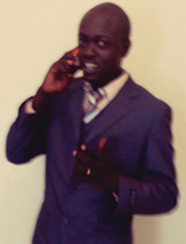 Charles, who works for Afrovas Research in Nairobi, has been active in market research since 2011. Commenting on his reasons for pursuing the Research Academy scholarship, he said “it will boost my professional confidence and sharpen my decision-making when executing projects… the course will help me to understand my clients and partners better”. To learn more about our MRS Diploma scholarship programme, or apply for a 2017 scholarship, please click here.